I hope you all had a fantastic Fourth of July and enjoyed some time off! This summer, like most law students (if not all), I am a legal intern. I am interning with one of the US Attorneys’ Offices in my home state, and I am really enjoying it. I have already started the application process for next summer’s internship, which is crazy! 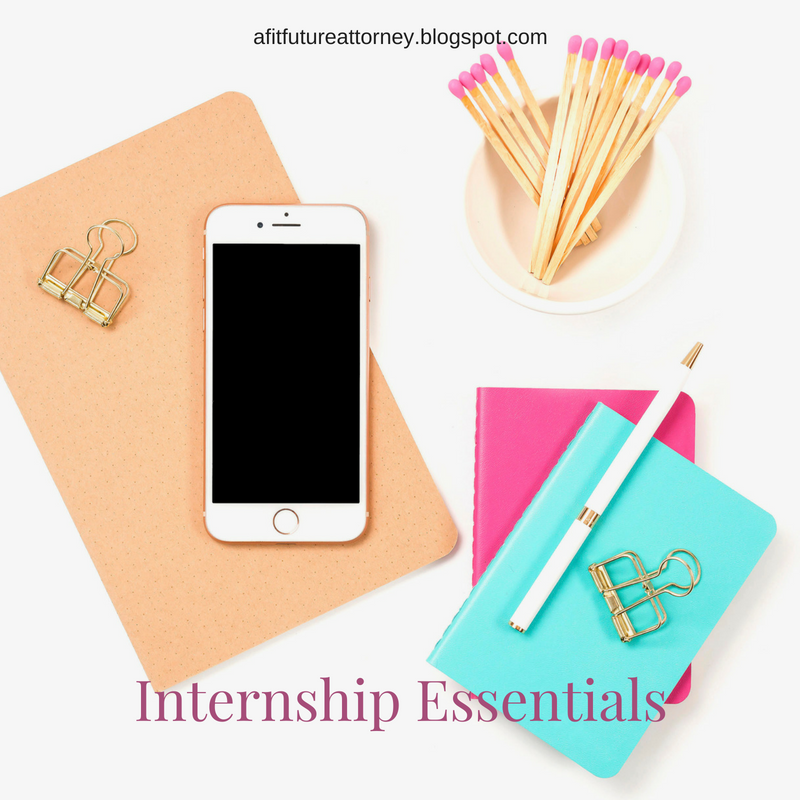 This week, I wanted to post about Internship Essentials: What You Need to Succeed as a Legal Intern. Planner: So most of your probably know by now that I love to be organized and my planner. I use my planner every day at my internship. With numerous tasks to do, various meetings, and other events, I make sure I’m organized by using my planner. You never want to be the intern that missed an assignment or event because you forgot about it. Bluebook: As a legal intern, you will be doing a lot of research and writing, which means a lot of citations. To make sure you don’t mess up any, make sure to have your Bluebook with you at the office. 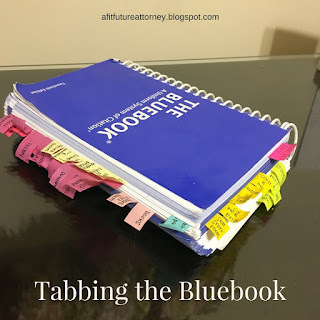 I also keep my Interactive Citation Workbook for the Bluebook with me, as it also provides citation help and is a little easier to understand than the Bluebook. Other Supplements: Depending on your internship, you may or may not need specific supplements. Since I am in the civil division, I keep my Federal Rules of Civil Procedure at my office. It is all marked up, tabbed, and highlighted from my Civ Pro class, and it is extremely useful. If you are working in a specific area of law, a supplement in that area may be helpful. Highlighters: Your office is likely to have these for you, but if not, I recommend you invest in some. Just like in law school, legal interns use a LOT of highlighters. I’ve gone through two or three this summer already. Note Pads/Legal Pads: This is something else that your office, firm, or workplace is likely to supply for you and also a necessary! On my legal pads, I take meeting, event, and research notes. On smaller sticky notes, I write miscellaneous notes, to do notes, notes for pieces of paper, etc. I use multiple sticky notes every day. They are also great for tabbing certain pages in a long complaint or other document. Lexis/Westlaw Subscription: Your office or firm will also have a subscription to at least one legal database for you to use. I also use my law school subscriptions. Depending on your office’s and school’s packages, you may have access to more materials through one over the other. Like I mentioned earlier, you will do a lot of legal research and access to these databases is crucial to thorough research. Positive Attitude: These last two may sound a little cheesy, but they are so true! Just like every job you have, to be successful, you have to have a positive, willing attitude. Lawyers will have lots of projects for you and some may not be as cool or as exciting as others. That’s ok! Have a good attitude and complete all projects with the same diligence. Also, be kind to support staff- they know more than you and can really help you out in a crunch. In general, be nice to everyone you meet- especially at work. Hunger for Knowledge: This is also cheesy, but necessary. 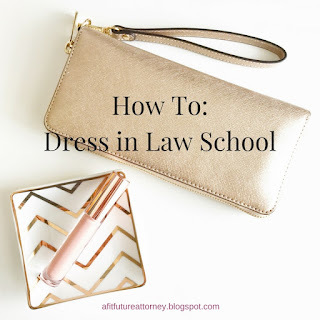 No matter where you are interning, you have the opportunity to learn from some awesome attorneys and judges, and be sure to seize that opportunity. Form relationships with the lawyers in your office and don’t be afraid to ask for more challenging projects if necessary! Express a willingness to work and to learn. These are my essentials for being a top intern! Leave a comment if you have anything else that you consider to be an internship essential. While you are at it, follow me on Instagram and Pinterest!